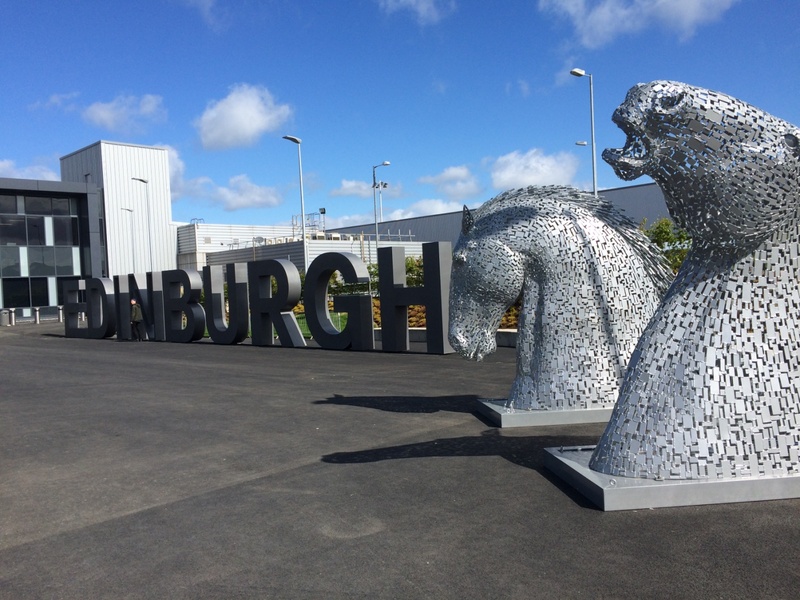 Home » Uncategorized » IPEN at ISBNPA in Edinburgh, Scotland. June 1-6. IPEN at ISBNPA in Edinburgh, Scotland. June 1-6. Edinburgh welcomed us with perfect Scottish weather, which means it was cold, windy, and/or raining almost all the time. The Scottish people were much warmer. Edinburgh itself is a pleasure to walk around, in part because the Old Town and New Town provide such different experiences. The week started with two days of IPEN meetings at the University of Edinburgh. Many thanks to Prof Nanette Mutrie for arranging a high-tech meeting room for our meetings. One of many charming sections of Old Town in Edinburgh. About a dozen investigators attended the IPEN Adult Writing Retreat on June 1. Several papers have been accepted this year, including Ilse de Bourdeaudhuij’s paper on perceived environment and BMI that was published in IJBNPA this week and received extensive media coverage around Belgium. However, our focus at the retreat was on future papers. Lead authors gave updates on their papers, plans for next steps were made, subgroup meetings were held, and several authors accomplished some writing. We had an extensive discussion about the approach we will take to papers that include both objective and perceived measures of environments. We developed a coherent plan to use the unique IPEN data to answer a variety of questions, and both new and revised paper proposals will be coming in the next few weeks. This was another productive writing retreat, and I thank everyone for their contributions and thoughtful discussion. We had a much larger group for the June 2 IPEN Adolescent meeting. It was amazing to see our investigators from 11 countries who made the commitment to travel from near and far to be at this meeting. It is incredible to think about the diversity of the world represented by our investigators from Australia, Belgium, Brazil, Czech Republic (large team), China/Hong Kong, Denmark, India, New Zealand, Spain, Taiwan, and USA. Technology allowed investigators from the UCSD Coordinating Center, Urban Design for Health, and Portugal to participate. I wish our colleagues in Bangladesh, Israel, Malaysia, and Nigeria could have been with us, but they are making good progress in their studies. Each country gave updates on the status of their studies, and there was a wide range, from just starting data collection to completing it and working on the GIS variable creation. It is now clear that neighborhood selection methods vary considerably. We will describe in the Methods paper the various ways countries are implementing the principle of enhancing variability of environments and SES. Several challenges were identified and discussed. Perhaps the most common issue was the difficulty of obtaining complete parent surveys. However, several countries offered effective strategies, such as having the parents complete the survey at the same time they sign the consent form. I encourage each country to make an additional effort to obtain high completion rates of the parent surveys, because they are the source of the perceived environment (NEWS-Youth) measures that are central to our analyses. In most cases, collection of adolescent survey, accelerometer, and GPS data are going reasonably well. I personally appreciate everyone’s efforts and commitment to following the common protocol as much as possible. Marc Adams, Larry Frank, and Jim Chapman led a useful session on GIS methods. Marc explained the templates and important new approaches for IPEN Adolescent, including use of the Qualtrics online system for completing templates. Larry presented results of final analyses comparing various GIS buffer methods, and a manuscript is in progress. Many thanks to the GIS experts from 4 countries who conducted many additional analyses, and to the UD4H team for conducting analyses. Larry also presented on the “new” regional accessibility variable. Thanks to investigators in 5 countries and analyses by Carrie Geremia, Kelli Cain, and Terry Conway, we had inter-observer reliability data for MAPS-Global conducted in person. The results are very encouraging. We will have further discussion about the papers coming from these data. Investigators from the majority of countries are planning to collect MAPS Global data. We had a discussion of options for mapping the routes and collecting data for the main study. Investigators will have another chance to provide input on final variables for the instrument and the construction of scales. 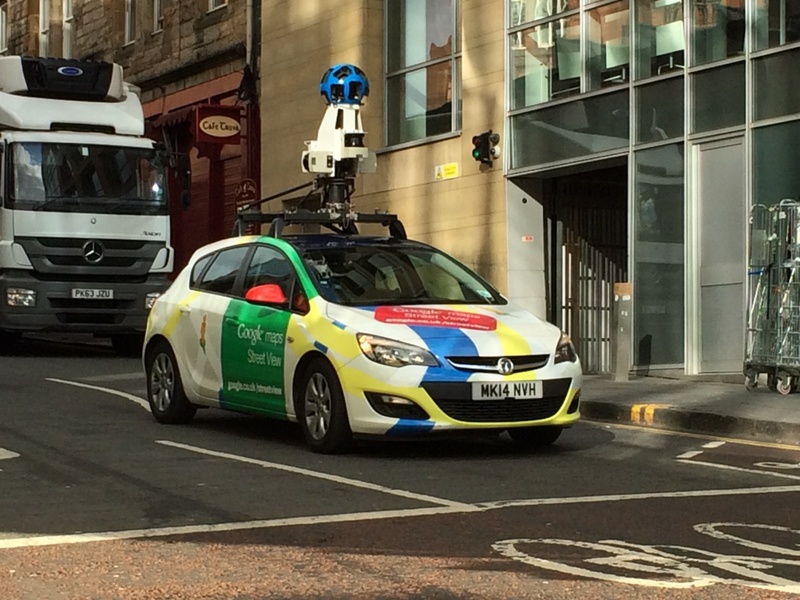 The same day as our discussion of MAPS Global assessed by StreetView, I ran across this Google car updating Streetview images in Edinburgh. Carrie Geremia has been working hard to develop a park audit strategy for IPEN Adolescent, and she returned from maternity leave just in time to prepare a presentation for this meeting. She identified overlapping items from the POST and EAPRS instruments and showed the “joint” scale had good validity based on correlations with park use and PA in parks. There was interest in using Kaczynski’s Park Audit Tool, so we will compare the overlapping items with the other two instruments. Billie Giles-Corti sent around papers that described collection of POST data using Google Earth, so we will consider this option. A couple of investigators are measuring school environments. These methods were not discussed but deserve further attention. We will ask for all school environment protocols and share with everyone. We will try to identify a common method and encourage assessment of school environments when possible. 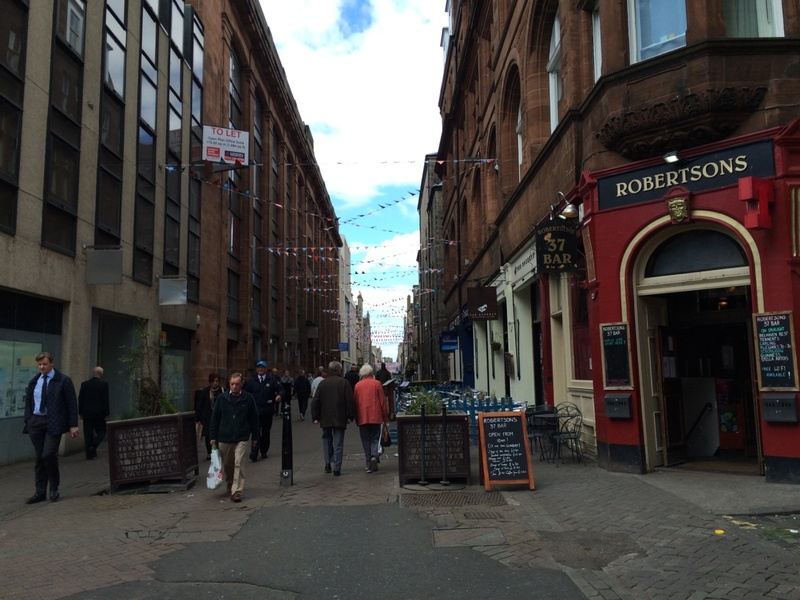 One of the pedestrian zones in New Town, Edinburgh. Ilse de Bourdeaudhuij began the segment on publications by describing the Publication Committee and our procedures for submitting paper proposals, identifying writing groups and authors, and ensuring quality of the papers. These methods have worked well for IPEN Adult, because all submitted papers have been published in high quality journals so far. Assignments for lead authors were noted, and nominations for writing groups were made. Based on the IPEN Adult discussion the previous day, we will have further conversation about using perceived and objective environment measures in the same analyses. Looking forward to publications was a good way to end the IPEN Adolescent investigator meeting. Ester Cerin’s IPEN Adult symposium had the honor of being listed as the first symposium at ISBNPA. A sizeable audience came to hear 4 data-packed papers presented by Ilse (substituting for Delfien van Dyck who is on maternity leave), Ester, Neville Owen, and myself. Stay tuned for the papers coming from these presentations. Presenters in Ester’s IPEN Adult symposium at ISBNPA: Jim Sallis, Rodrigo Reis, Ilse de Bourdeaudhuij, Ester Cerin, Neville Owen. 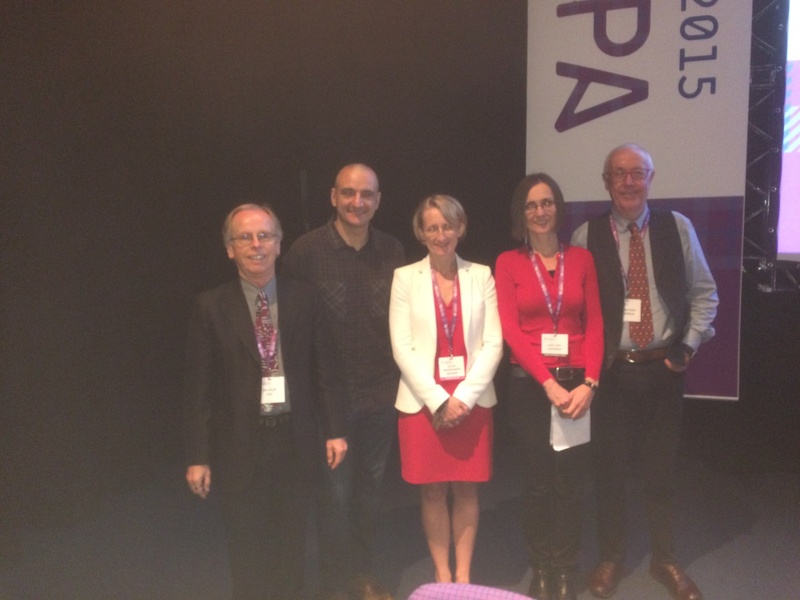 The ISBNPA conference had many environment-focused sessions, with many contributions by IPEN investigators. Here are a few of my IPEN-related observations. I was surprised to see a paper on built environment (PANES/E-module), PA (IPAQ), and obesity from Saudi Arabia. This is an encouraging sign from a region that has built activity-UNfriendly environments and is suffering from high rates of obesity and chronic diseases. Deepti Adlahka, from Washington University in St Louis, presented promising reliability and validity results on NEWS-India, which is her dissertation project. I was impressed by the substantial numbers of natural experiments of change in PA environments. The studies came from several countries. Though the findings were not always as expected, in general these quasi-experimental studies advance the quality of evidence about the role of environments in PA.
Based on an informal poll of participants, the next IPEN investigator meetings will likely be at ICPAPH (International Congress of Physical Activity and Public Health) in Bangkok, Thailand in November 2016. The theme of the meeting is “Active People, Active Places, Active Policies,” and I am pleased to be on the scientific committee which is planning a program with several innovative features. Please plan to attend if you can. 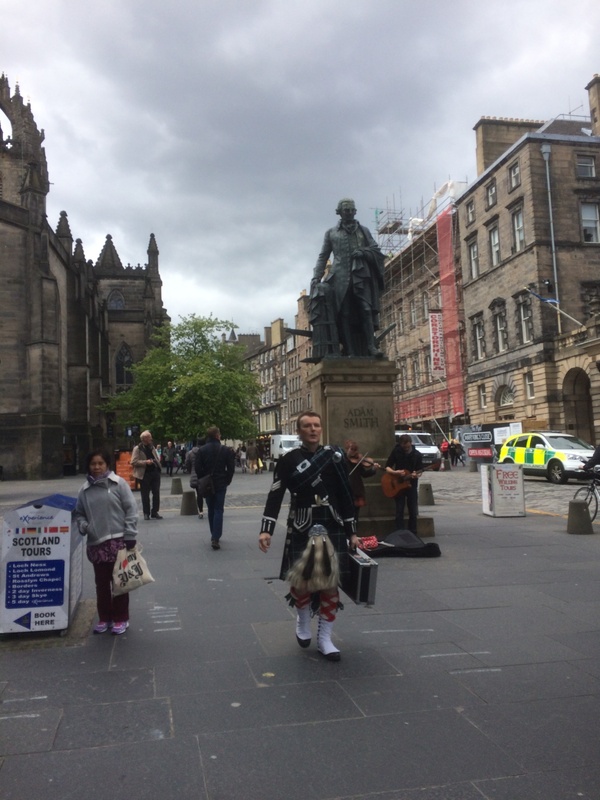 I want to end with huge thanks to Kelli Cain, Carrie Geremia, Terry Conway, Marc Adams, Larry Frank, and Jim Chapman for preparing presentations and other materials for our fruitful two days of IPEN meetings and team building in Edinburgh. So long, Edinburgh. On to the next meeting. 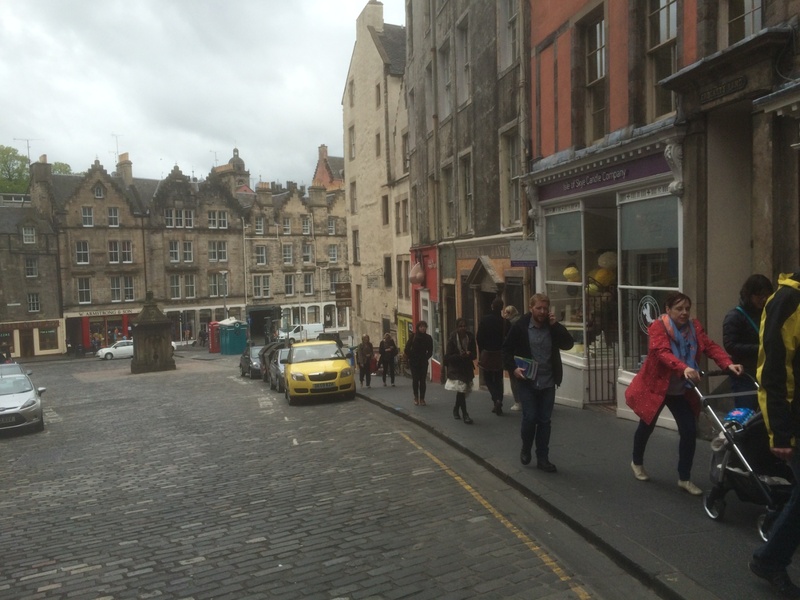 A typical scene on the Royal Mile in Old Town, Edinburgh. By drjamessallis in Uncategorized on June 15, 2015 .